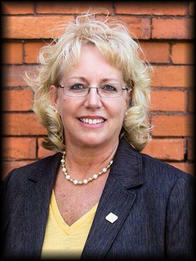 Sue began her banking career with Old Kent Bank/Fifth Third Bank in 1984. For nearly 16 years, she held various positions throughout the Retail Bank, primarily serving as a market manager for Grand Rapids, MI. In that role, she successfully managed 44 branches. Soon after the merger and having missed working directly with customers, Sue transitioned into her current role as senior vice president, business banking relationship manager. She leverages her vast experience to assist a broad range of companies with revenues of $2-$20 million. Working diligently to fully understand both the owners' personal and company goals, Sue delivers banking solutions aligned with their specific needs. Sue grew up on the west side of Grand Rapids where she and her husband raised their two children. Their current home is on Jordan Lake, and their children are grown and beginning their successful adult lives. Her family is avid sports fans. She played basketball for Calvin College while her husband played baseball for Central Michigan University. Her daughter played college volleyball for Cornerstone University where she earned All-American. Giving back to her community is also of great importance to Sue. She stays active by volunteering and coordinating many community-based events, serving as a board member of the Christian Counseling Center, member of the Westend Christian Reformed Church, member of the Sunfield United Brethren Church Governance Team, and treasurer for the Lakewood Education Foundation.